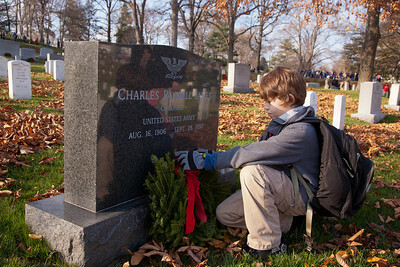 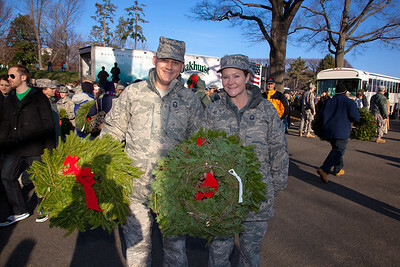 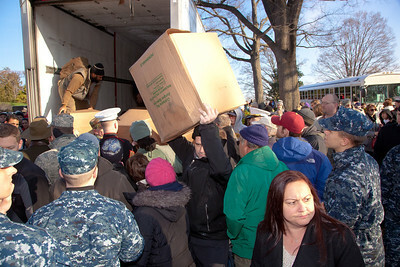 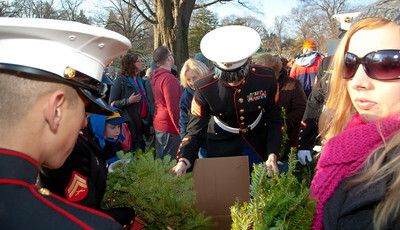 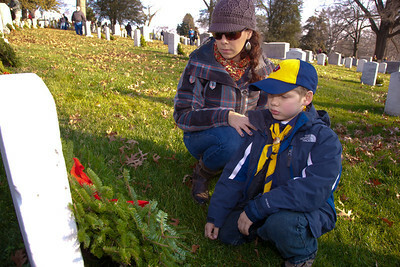 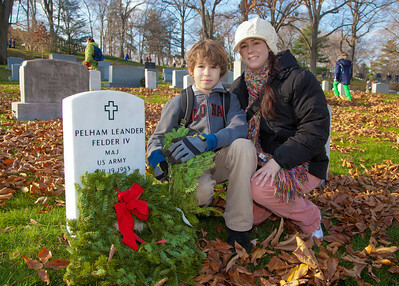 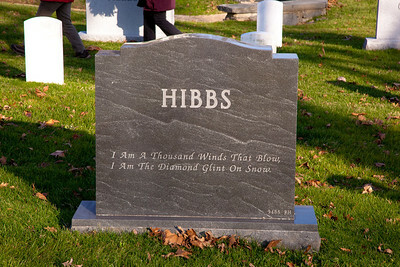 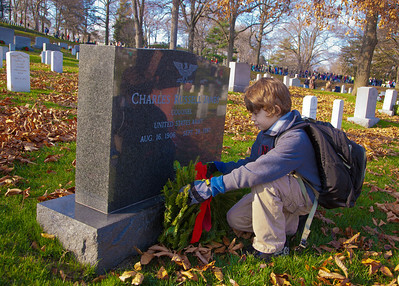 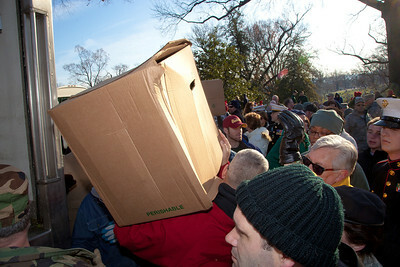 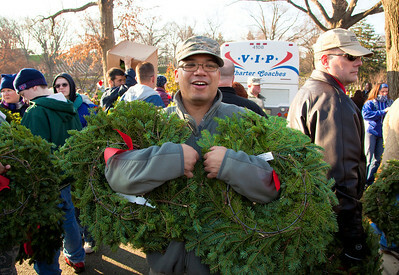 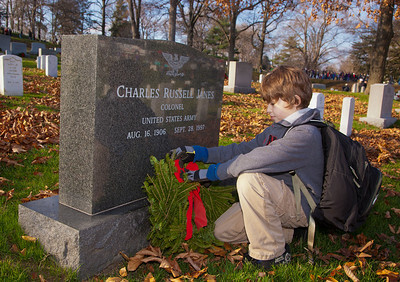 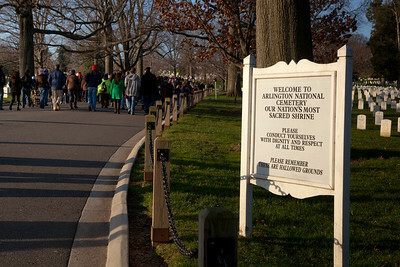 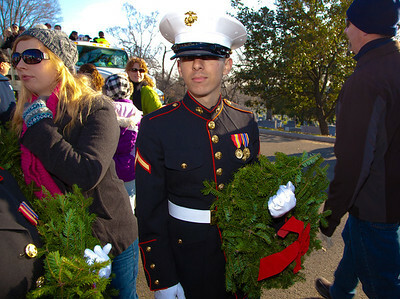 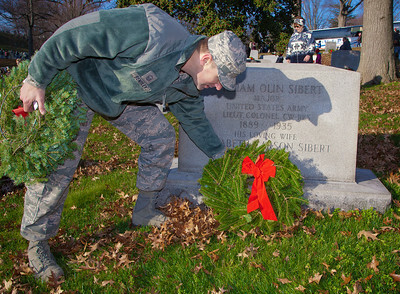 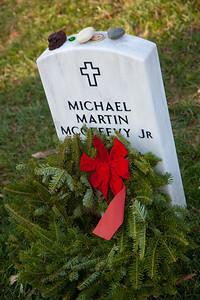 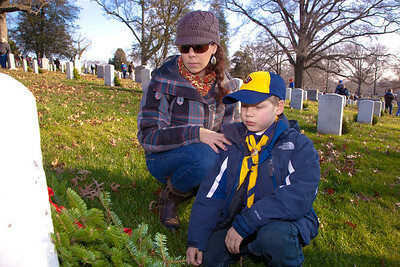 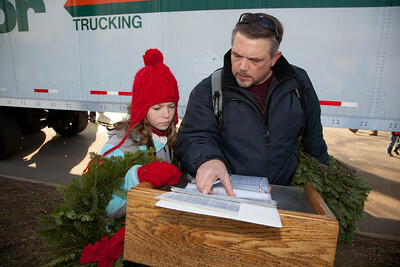 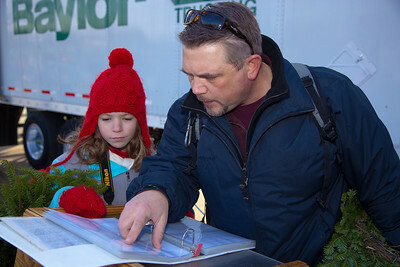 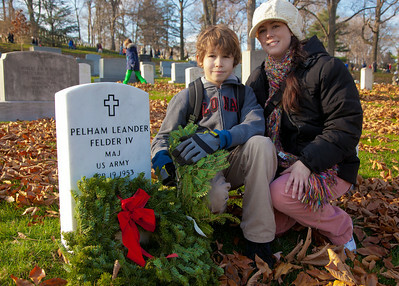 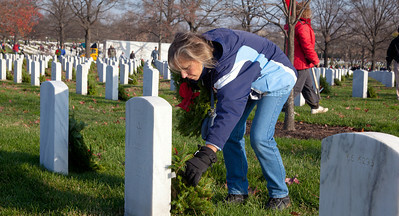 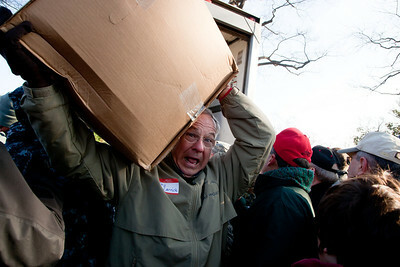 Volunteers laid over 90,000 wreaths on Saturday, December 10, 2011 to honor veterans buried at Arlington National Cemetery. 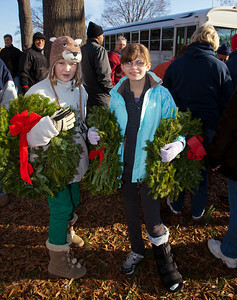 Founded in 1992 by wreath-maker Morrill Worcester of Harrington, Maine, the event helps communities recognize and remember the sacrifices of those who’ve served in America’s armed forces. 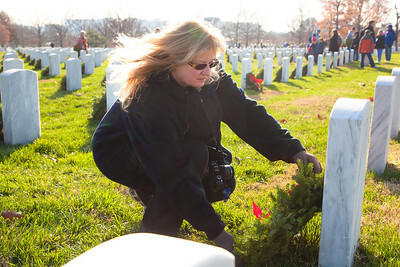 Organizers said 15,000 people joined the effort at Arlington. 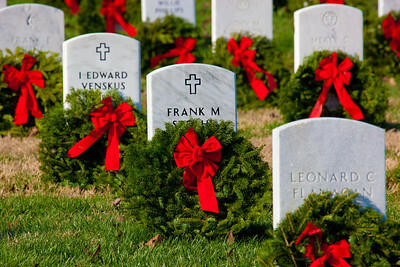 The wreaths will be on view until Jan. 28. 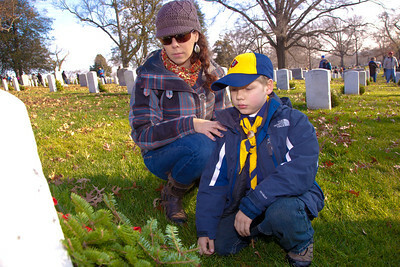 Andrew from Sterling VA. Andrew's father had been killed in combat in Iraq in 2005.